At DoorTECH we understand the needs and requirements of the care industry. With our expert knowledge of the products specifically designed for this sector we offer our customers comprehensive advice on the best and most affordable solutions for their requirements. With our nationwide installation service we can provide a complete solution and total peace of mind. DoorTECH offer a comprehensive range of fire door controls to suit all requirements and budgets. 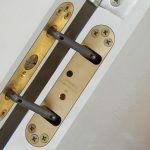 With a wide variety of both Hard Wired and Wire Free products including several Swing Free solutions, we can ensure that your fire doors comply with all relevant Fire Safety legislation.